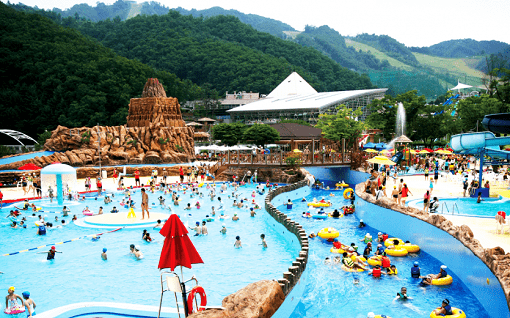 One of the top 4 water parks in the world, Ocean World Korea water park is one of the most popular summer destinations in Korea. The water park covers an astonishing 120,923,200 sq. ft, larger than 14 soccer fields combined! There are many exciting attractions like the 300-meter long Extreme River, Surfing Mount, Family Raft Slide, Spa Village, and Angel's Pool. The park is split up into the 4 main areas - Indoor Zone, Extreme Zone, Dynamic Zone, and Mega Slide Zone. 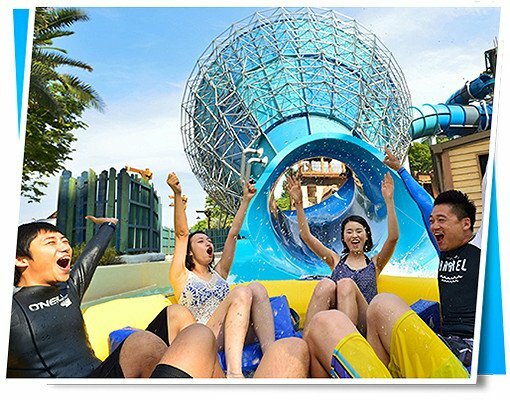 We offer you the best price for Ocean World Water Park ticket price! 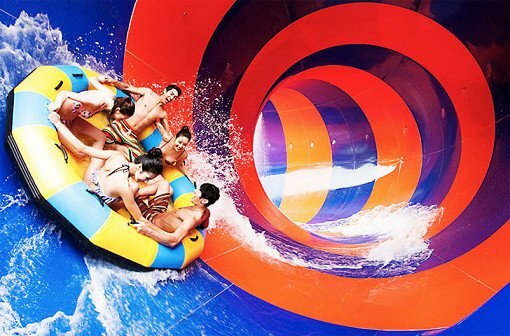 Get your discounted Ocean World Korea tickets here. Available to foreigners only! 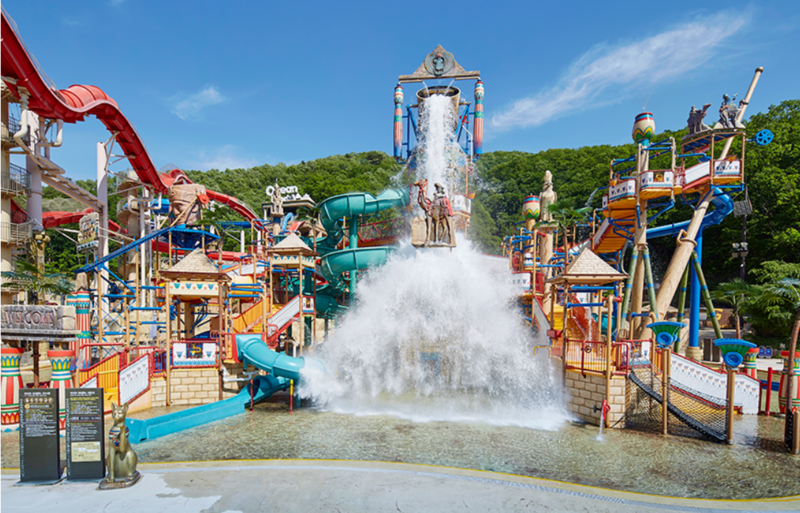 Imagine a water park larger than 14 soccer fields combined! 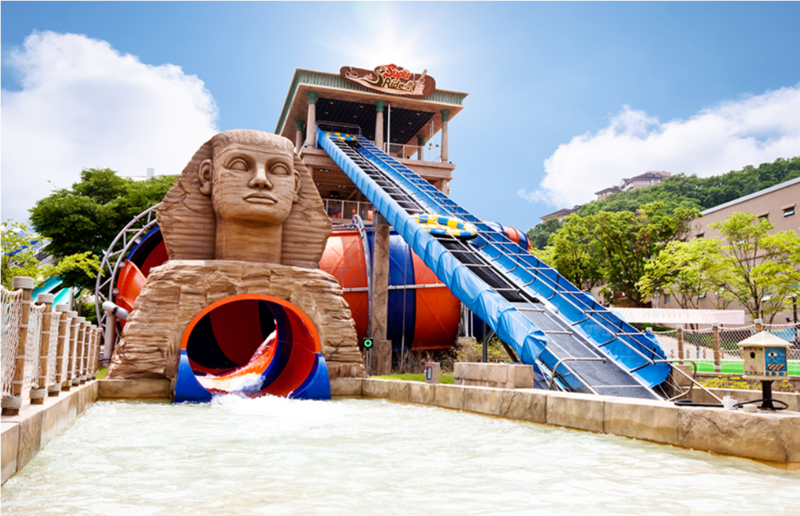 Ocean World is inspired by ancient Egyptian culture which makes it look like an oasis in the middle of the Egyptian desert! 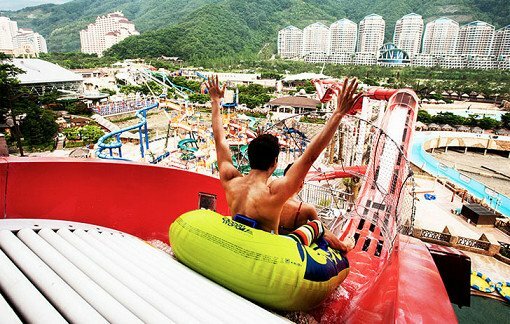 ✓ Splash on different kinds of water slides! Monster Blaster, Super Boomerango, Cairo Racing, Super S Slide, High Speed Slide, Family Left Slide! All kind of slides you can imagine are here. See all attractions. Indoor Flowing Pool, Kids pool with safe and small slides, Aqua pool with massage facility, Bring your whole family and have a blast at this super-size waterplex! Traditional Bulgama (hot room) heated with firewood from pine trees, Therapy center, Sauna Zone, Spa zone and so on. 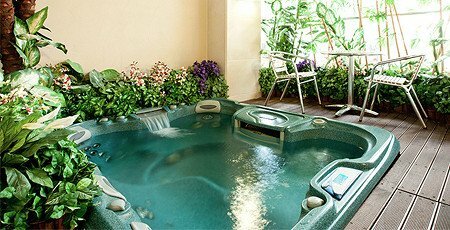 Perfect place to give your exhausted body some refreshment. *Swimming attire, swimming caps & life vests are required to take most of the rides. You may bring your own or purchase one at the park. 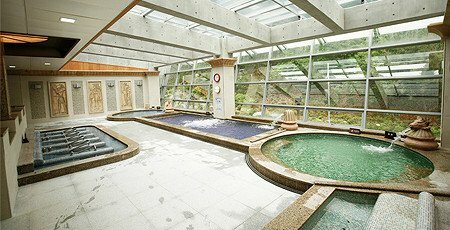 **You need to rent Jjimjilbang (Korean Sauna) clothes to enter Jjimjilbang. Step 1 - Choose date, number of people then proceed to checkout page to complete payment. Remember to book your free shuttle bus here (2 days in advance). Step 3 - Show the Email Voucher at the Ocean World ticket office. ✓ It is highly recommended to bring your own swimming caps & life vests as swimming attire, swimming caps & life vests are required to take most of the rides. 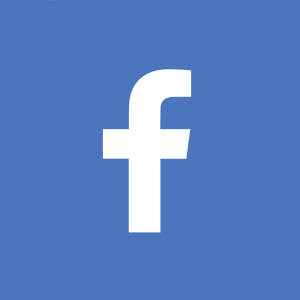 ✓ If you want to use free shuttle bus, book here (2 days in advance). ✓ Please note that there could be height & weight limit (~90kg) for rides. 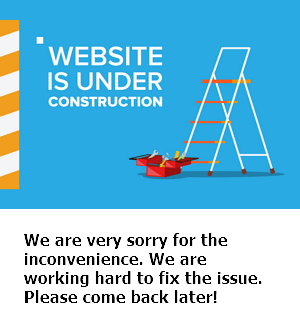 ✓ Change is only available 3 days (by 4pm K.S.T.) prior to travel date. Ocean World operates normally even when it rains, however, certain facilities may be restricted during a thunderstorm.